Michael has been competing in the Sportsman thought Advanced levels since 2009 and has been the guiding force and coach of the UND Aerobatic Team since 2008. 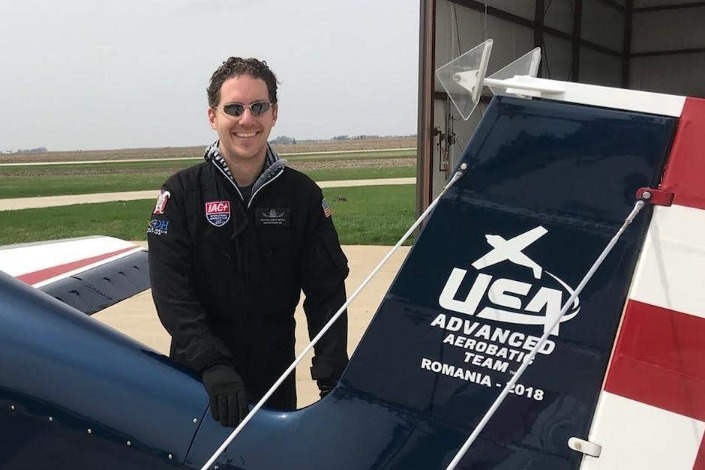 In 2018, he was the top US competitor at the World Advanced Aerobatic Championships in Romania. He is a member of the Collegiate Committee as well as a member of the Sequence committee for the past three seasons. The bulk of his competitive career, as well as flight time, has consisted of teaching in the Super Decathlon for UND. als for the Sequence Committee include early coordination and communication with an attempt to build sequences that can be updated and modified as input from the current season's sequences are received. Design philosophy will focus on maintaining energy and box placement for legacy aircraft with consistent difficulty level from season to season while continuing the incremental mental challenges that increase between categories. Coordination and input from the Sequence Committee will continue to be critical to pull together expertise form the various backgrounds and specialties with the breadth of aircraft competing in the IAC. Congratulations and thank you to Michael for his volunteerism!